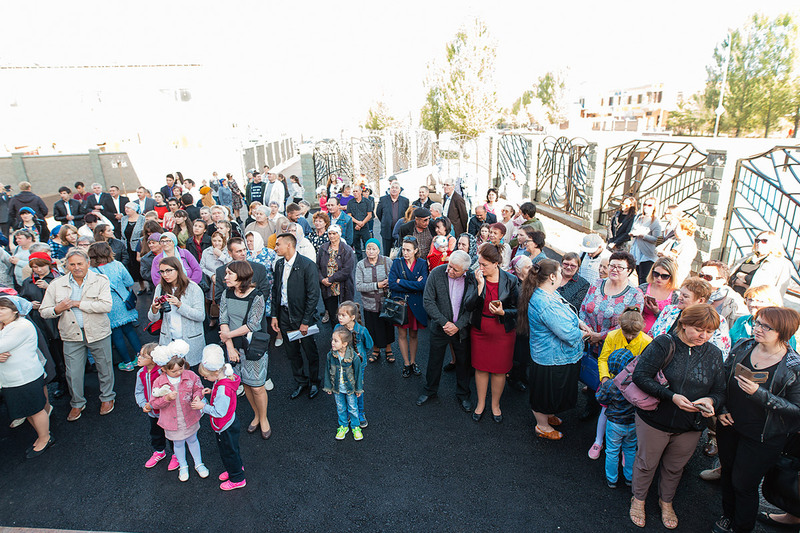 (LWI) – The dedication of the first locally built Lutheran church in 150 years in Kazakhstan is historic, not only because the once persecuted flock has a new place of worship “on a splendid wide, road” but also due to the generous support of Good Samaritans in the Muslim community. 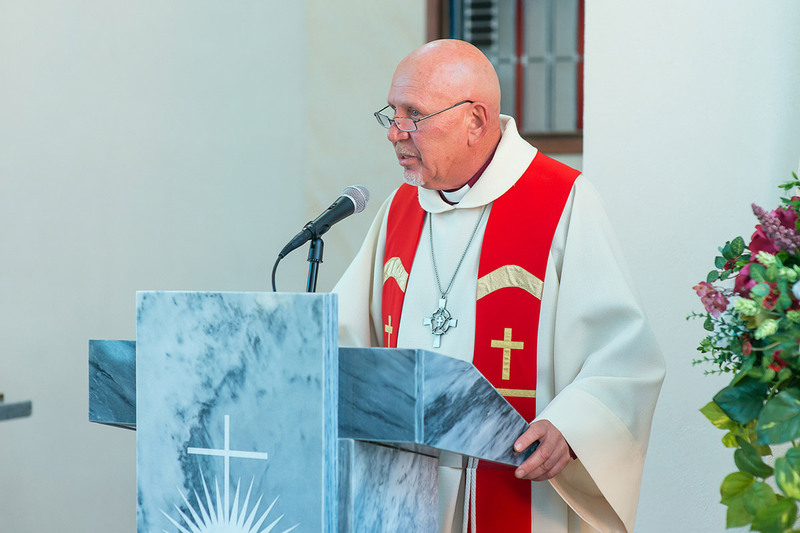 The Church of Christ the Redeemer of the Evangelical Lutheran Church in the Republic of Kazakhstan (ELCRK) was dedicated on 17 September in Astana by Bishop Yuri Novgorodov, who preached on the biblical story of the Good Samaritan. “What has the story of the Good Samaritan to do with us? Of the 2,000 pastors serving here in 1953 only three are still alive [...]. In 1955 [Pastor] Eugen Bachmann conducted the first underground service. And 90 percent of the donors for our new church are Muslim Kazakhs, Good Samaritans,” the bishop emphasized. Novgorodov thanked God for what had been achieved, for the political course taken by the country—the basis of its stability—and for peace and harmony among the religions in the vast nation. Around 70 percent of the 18 million inhabitants of Kazakhstan are Muslim, while 23 percent are Orthodox Christians and seven percent are Lutheran, Roman Catholic, Baptist, Jewish or non-religious. Despite a history of persecution, including during the Soviet era, the Lutheran church today has 2,500 members in 50 congregations, served by 10 clergy across the vast country of 2.7 million square kilometers. Albert Rau, the building supervisor, thanked the city council for its assistance in providing the land and echoed the bishop’s gratitude for the Good Samaritans in the multi-faith, multicultural community. “We thank the people of different nationalities and religious backgrounds who not only gave money but also building materials for the construction: cement, tiles and bricks,” Rau said. The church complex is the new location of the ELCRK headquarters, a major move from the old residential building in the city, which served as both a house of worship and offices. The Lutheran World Federation (LWF), of which the Kazakhstan church is a member through the Federation Evangelical Lutheran Churches in Russia and Other States (ELCROS), was represented by Rev. Dr Ireneusz Lukas, area secretary for Europe. 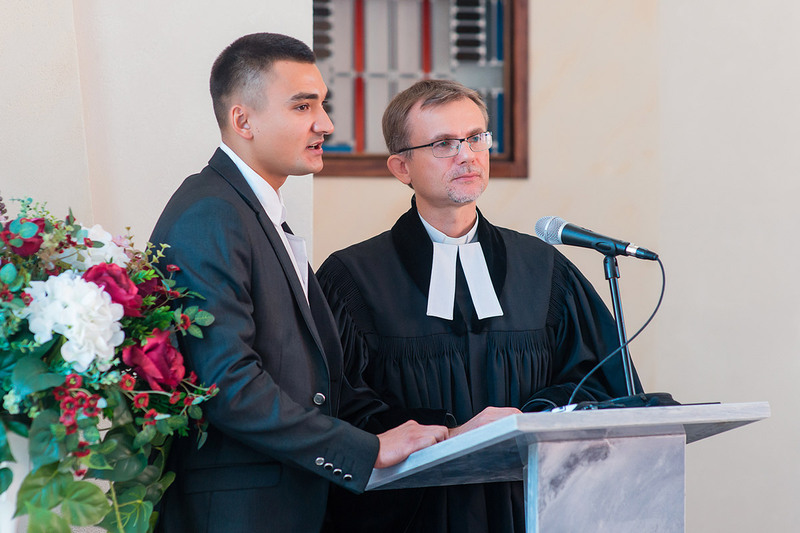 Church leaders from Germany, Romania, Russia and Ukraine also witnessed the dedication together with several ELCRK pastors, deacons and other members, and representatives of other churches. Presenting LWF’s greetings, Lukas said the Kazakhstan Lutheran church is an important part of the LWF family. “Although I am here for the first time, I’m not a stranger among strangers. There is no doubt that the church on this busy road will add not only to the attractive urban architecture, it will also make a substantial contribution to the life of the country,” he said. “I see two symbolic aspects of this new church: it will become a living monument for all victims of persecution and also a new location for the Reformation,” he added. Archbishop Dietrich Brauer of the Evangelical Lutheran Church of Russia, also in ELCROS, presented Novgorodov with a book on five centuries of Lutheran presence in Moscow, and reminded the congregation of their common history. “What happened was not in vain. What seemed to be the end turned into the beginning. After all the persecutions, Eugen Bachmann managed to have his congregation registered,” Brauer added. Bishop Johann Schneider of the Martin-Luther-Bund and Gustav-Adolf-Werk offered a gift of a Bible for the altar, and expressed the wish that God’s Word would be everlasting. Evangelical Lutheran Church in Northern Germany superintendent Rev. Dirk Sauermann noted it was a real breakthrough to build such a complex structure in only two years. Hans-Heinrich Jarchow, representing the Friends of Kazakhstan group, handed over the first symbolic pipe for a new organ to promote the church’s musical life. The dedication ceremony concluded with a performance of German and Russian folksongs, and a common meal. By Marina Chudenko, office of the ELCROS Archbishop, and LWF Communications.